Drivers have become more environmentally conscious these days, which has led vehicle manufacturers to make cars that are just as equally green when it comes to fuel efficiency. 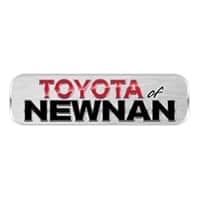 Many drivers are visiting Toyota car dealerships in Newnan, GA like ours to find the perfect fuel-efficient car for their lifestyle. At Toyota of Newnan, our staff is ready to show you the selection of hybrid vehicles on our lot that meet your family’s needs. The 2017 Toyota Highlander Hybrid is one of the most popular hybrid SUVs on the market today. With estimated 29 miles per gallon in the city and 27 miles per gallon on the highway, this SUV is one of the most fuel-efficient of its kind. A 3.5-liter V6 hybrid engine that produces 306 horsepower and 215 lb-ft of torque is under the hood. This SUV seats up to seven people, which makes it perfect for a family or for someone who loves to travel with friends. With the blind spot monitor system and rear child safety locks, the Toyota Highlander Hybrid will give you peace of mind when behind the wheel. The 2017 Toyota Avalon Hybrid is a take on the popular and trusted midsize family sedan from Toyota. This hybrid features a 2.5-liter four-cylinder engine that pumps out 200 horsepower and 156 lb-ft of torque to give you plenty of power. 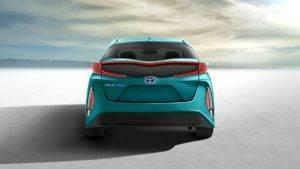 This hybrid brings home an EPA estimated 40 miles per gallon in the city and 39 miles per gallon on the highway. With passenger capacity for five people, this is the perfect car for your family. The 2017 Toyota Prius V Two is another hybrid vehicle in the long line of acclaimed Toyota hybrid vehicles. A 1.8-liter four-cylinder engine comes with this vehicle that pumps out 134 horsepower and 105 lb-ft of torque. There’s just enough power in this engine to provide quick acceleration. With an EPA estimated 43 miles per gallon in the city and 39 miles per gallon on the highway, this hybrid is one of the most fuel efficient in the Toyota lineup. Stop by to meet our professional sales team today at 2 Herring Rd. in Newnan, GA to test drive one of our acclaimed hybrid vehicles. Our experienced financial team can help you find the loan you need to make a new car purchase a reality at our Toyota car dealerships in Newnan, GA.